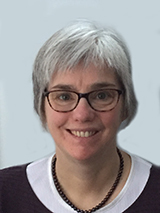 Dr. Kelley Kilpatrick completed a PhD in Nursing at McGill University in 2010, and received a post-doctoral fellowship at McMaster University in 2011 where she conducted the first pan-Canadian study describing clinical nurse specialists' roles with a team of researchers at the CHSRF/CIHR Chair Program in Advanced Practice Nursing. She has received Fonds de recherche du Québec-Santé salary awards since 2013. Dr. Kilpatrick has worked with a range of stakeholders to implement nurse practitioners in long-term care teams in Québec (2013-2017). This project was recognized as a best practice initiative in 2016. She developed and validated patient, family and provider questionnaires to measure healthcare team functioning. Dr. Kilpatrick's research focuses on team processes to open the ‘black box’ of how advanced practice nursing roles (i.e., clinical nurse specialist (CNS), nurse practitioner (NP)) support teams and improve care. She developed a conceptual framework, one of the first to link system-level structures to team processes and include patients and families as team members. The inclusion of patients and families as team members is an innovation that will provide new insights into how to foster patient involvement in care and improve outcomes.